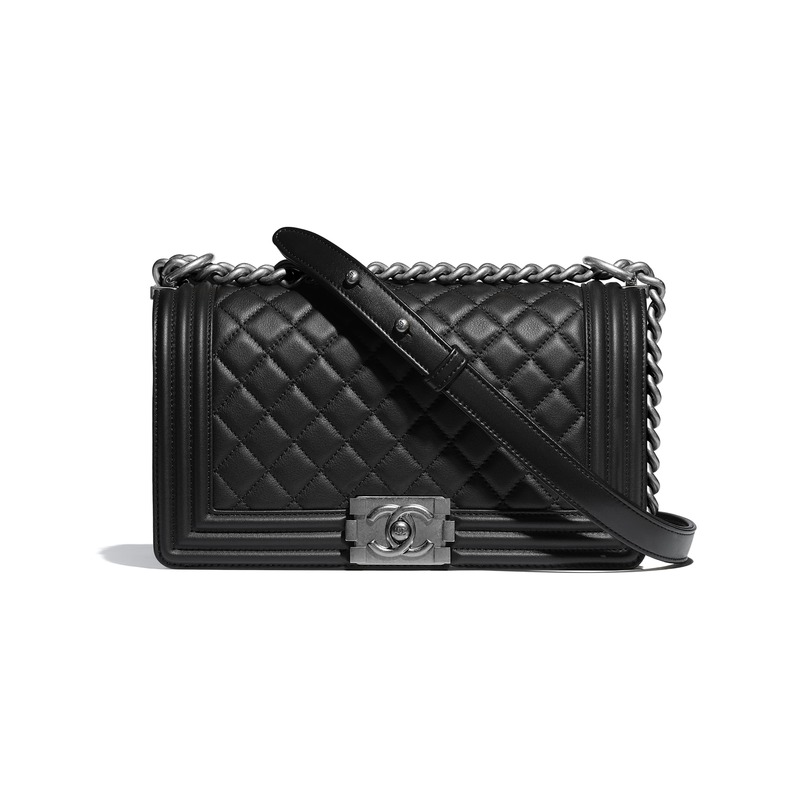 Today we’re going to talk about the Chanel Boy Bag. 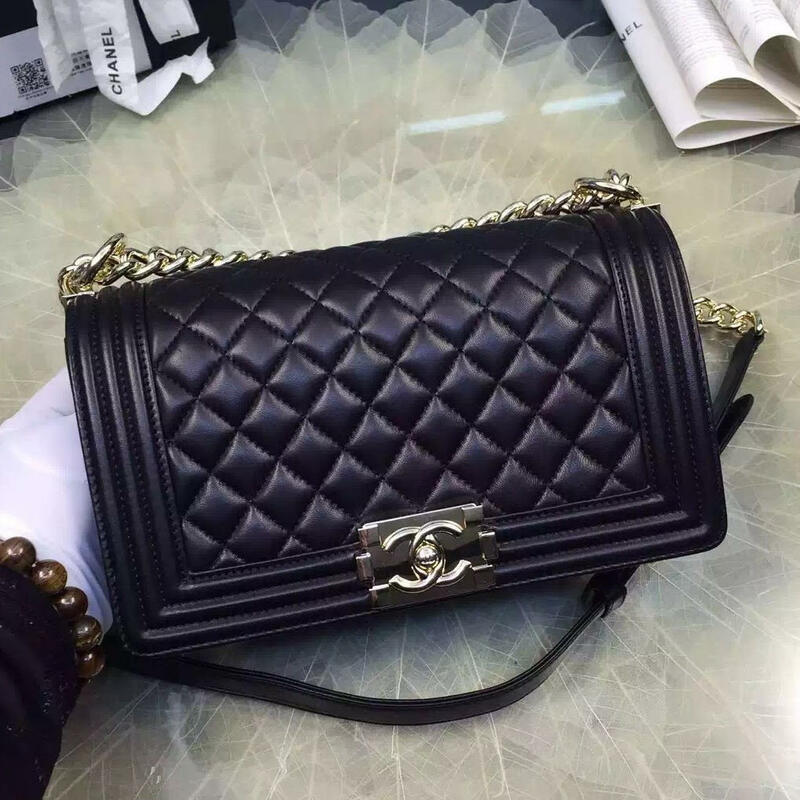 I think that we all love Chanel bags but also know that they aren’t cheap and not everyone can afford to buy a real one so they get a replica. 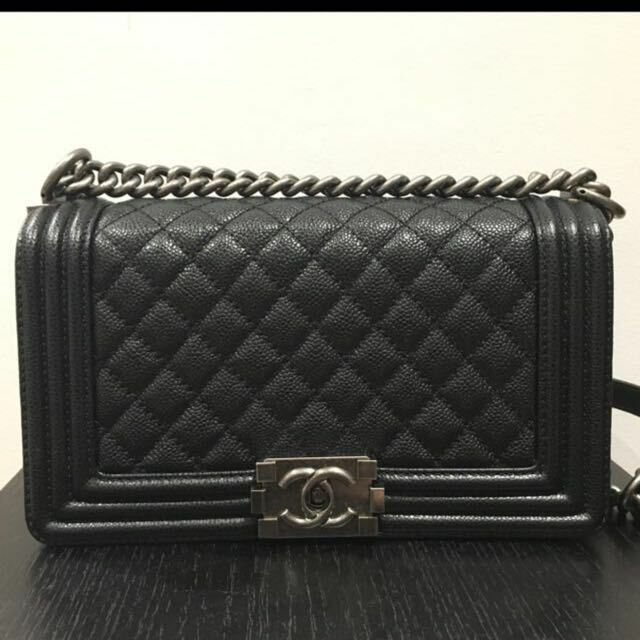 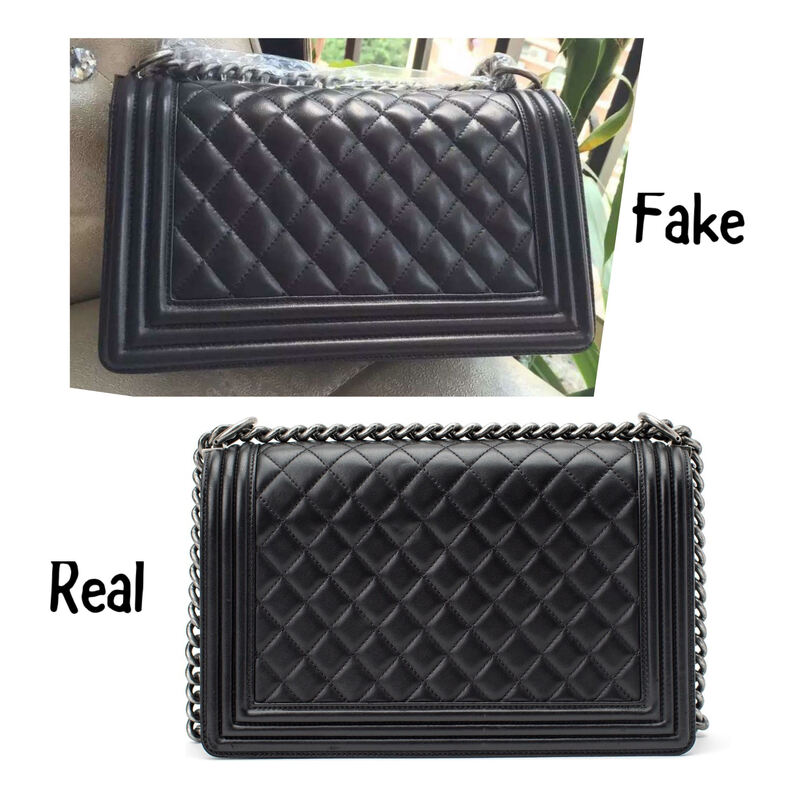 With so many realistic counterfeit bags for sale, it’s a little difficult to make the difference between a real Chanel Boy Bag and a fake one. 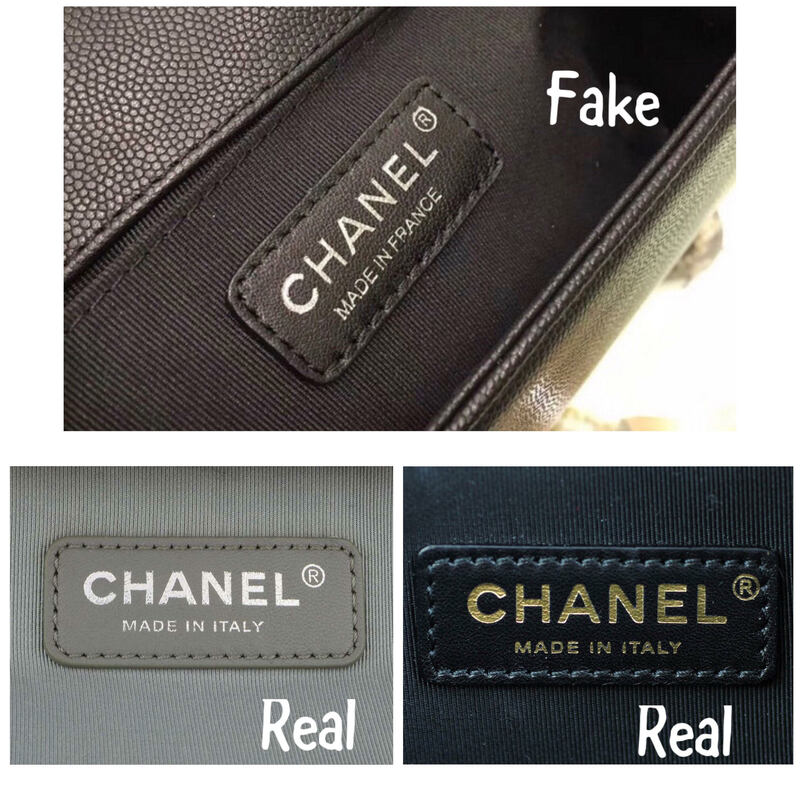 Below you can find out some tips that will help you to spot fake on a Chanel Boy bag. 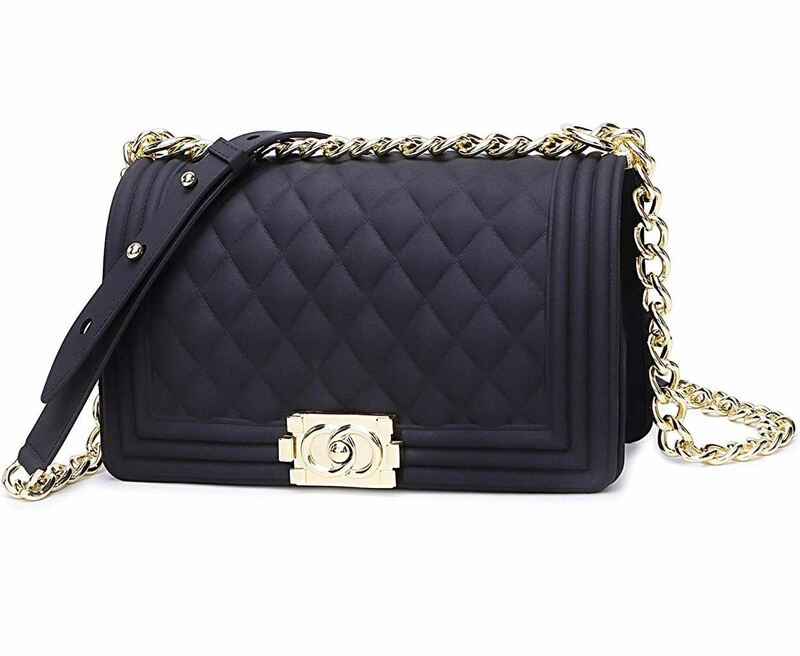 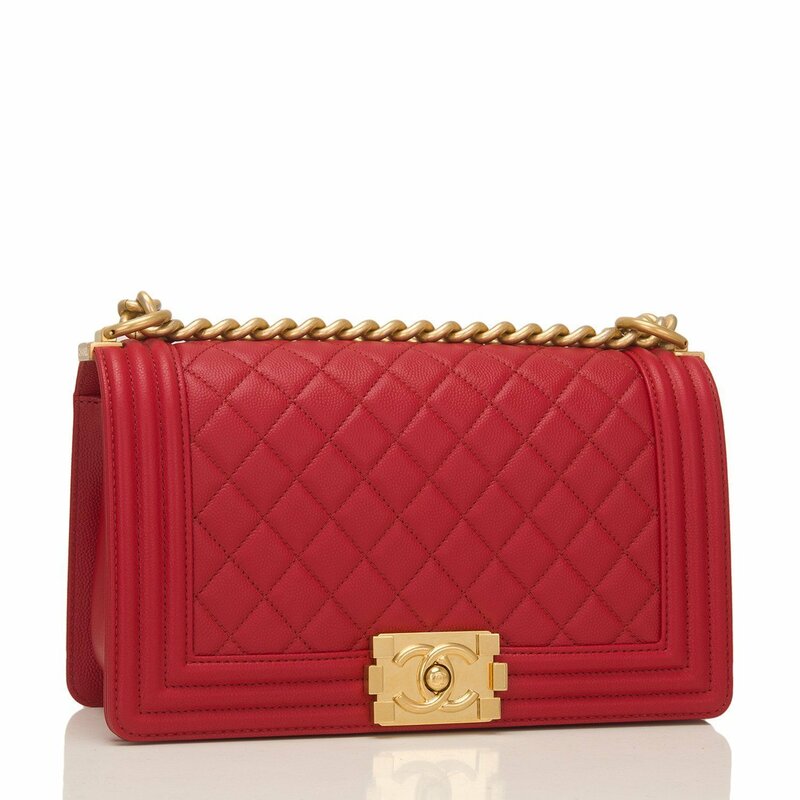 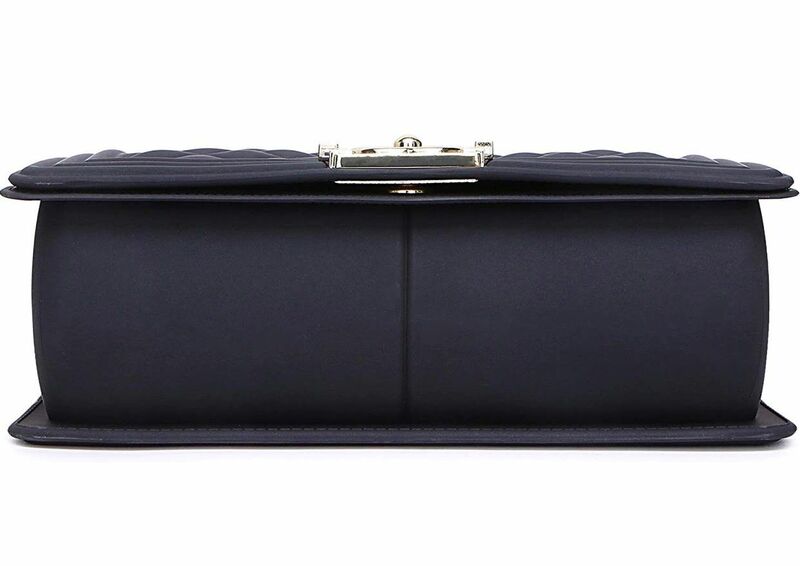 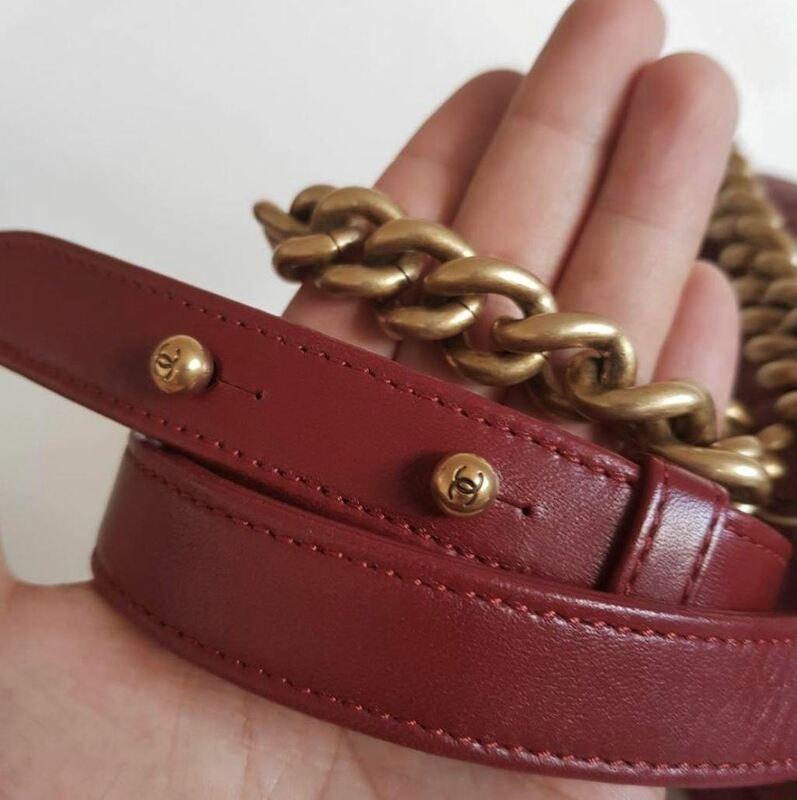 The real Chanel Boy bag is crafted from grained calfskin leather while the fake one looks too glossy and when holding it, it’s incredibly stiff and does not feel like genuine leather. 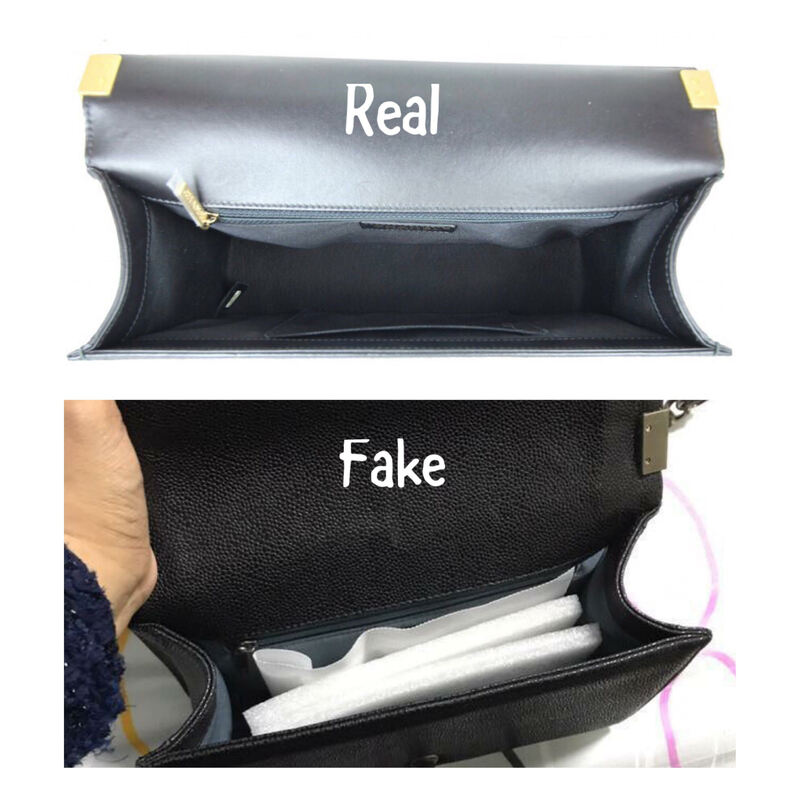 The fake bag also has an acrylic smell to it, which is a common sign of a replica bag. 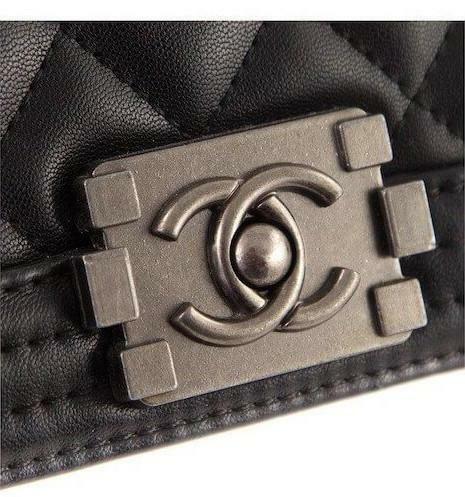 The CC logo is the most recognizable symbol of the brand, a specific identifier of your bag. 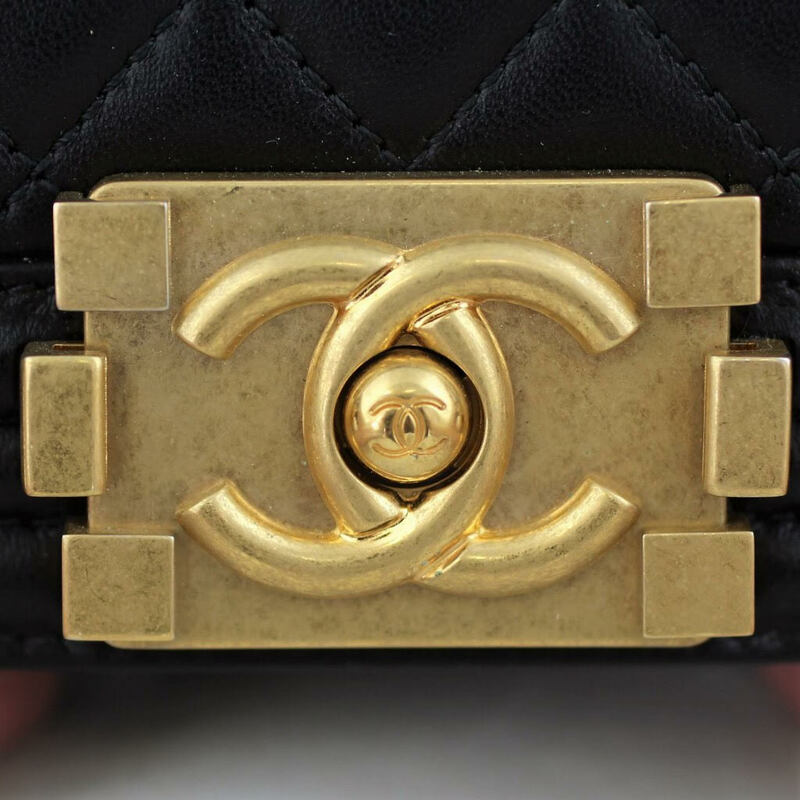 Make sure that the right C overlaps the left at the top of the logo, and the left C overlaps the right at the bottom. 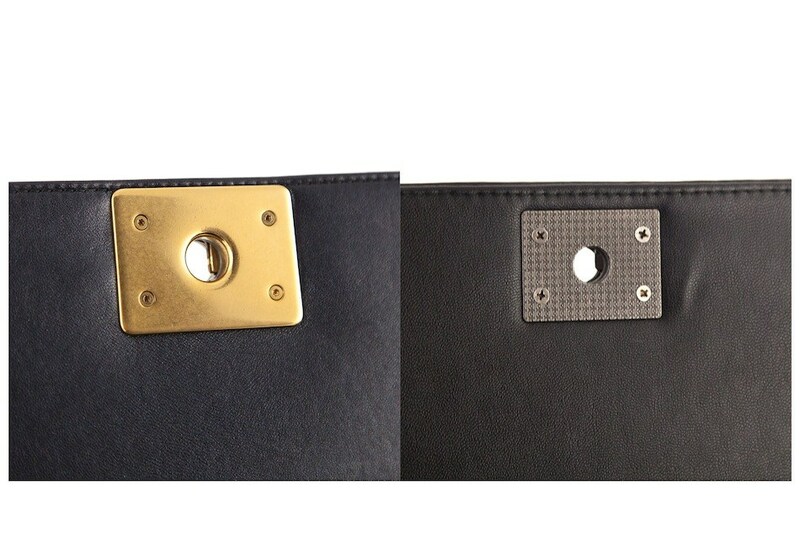 On the underside of the flap, you’ll see that the lock has four 6-sided star screws. 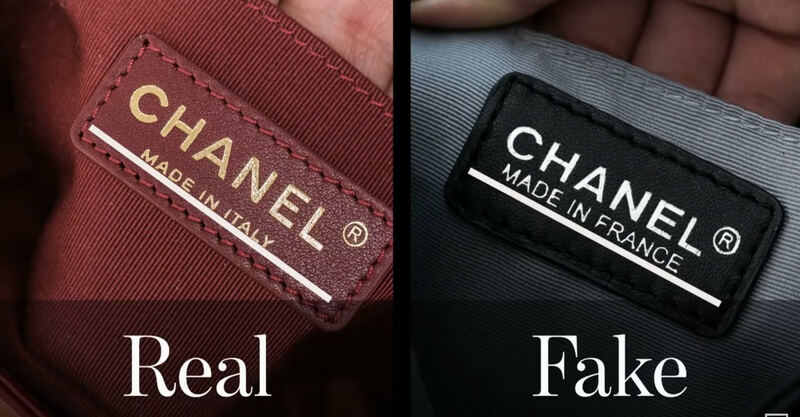 If you see flat-head screws, this is a surefire way to tell if your bag is fake. 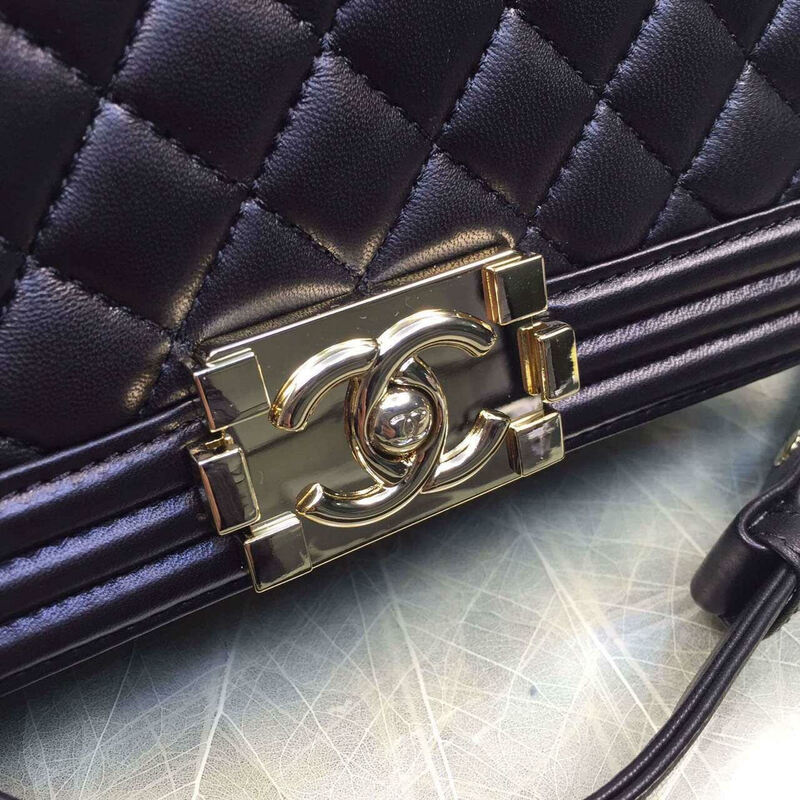 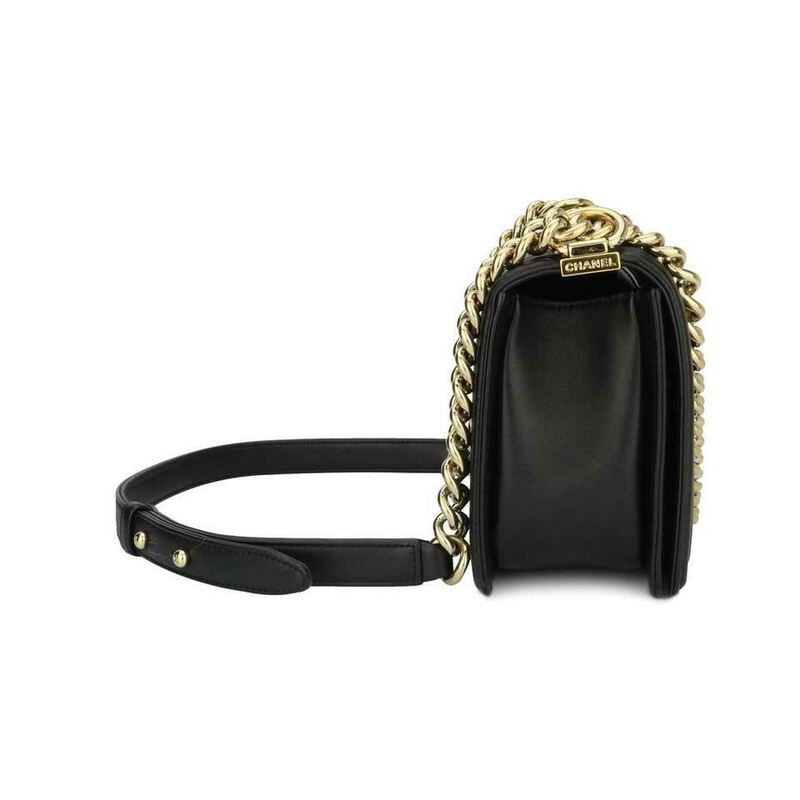 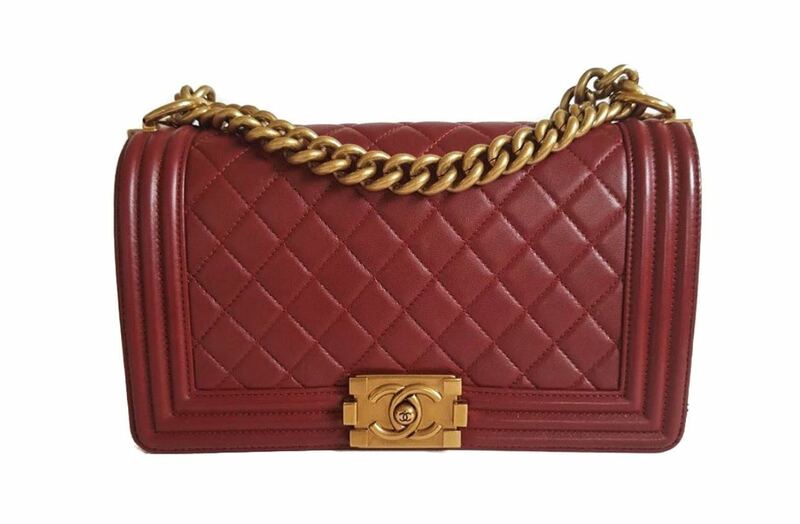 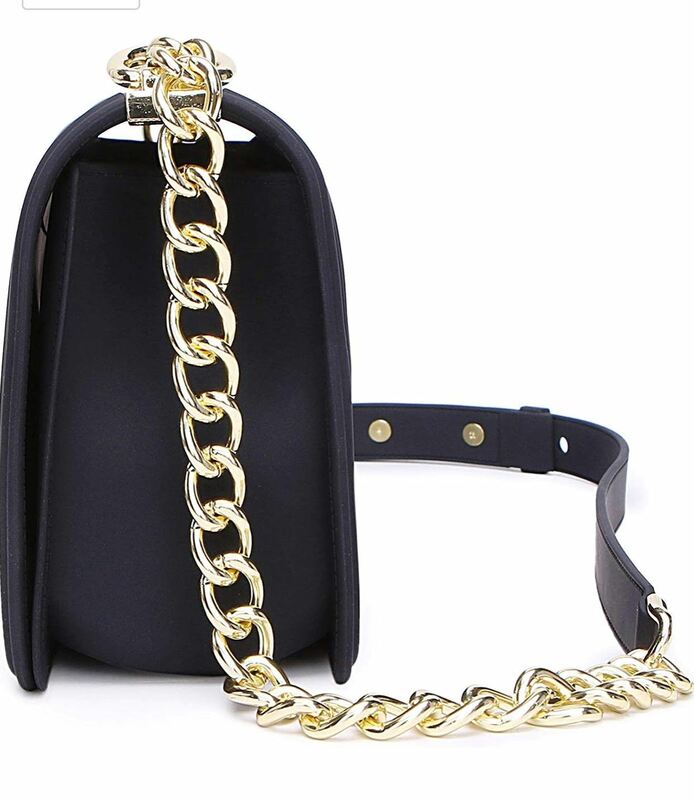 Hardware on a real Chanel bag is heavier and more substantial than on a fake. 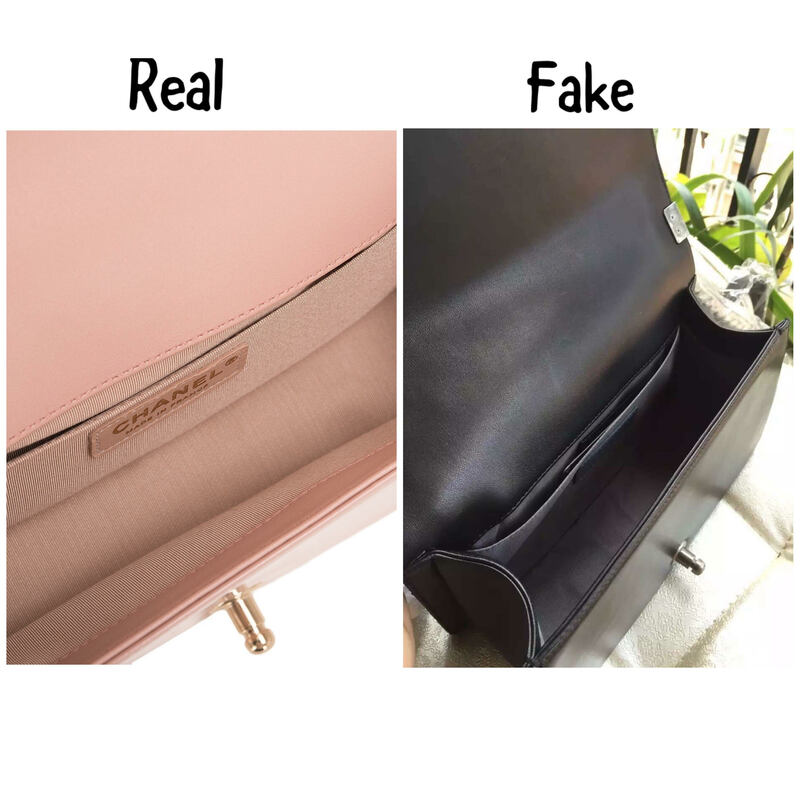 On each side of the bag, there is a rectangular piece of hardware that attaches the strap to the bag, The logo on it should have clean, flat lettering which should never be curved or bubbled. 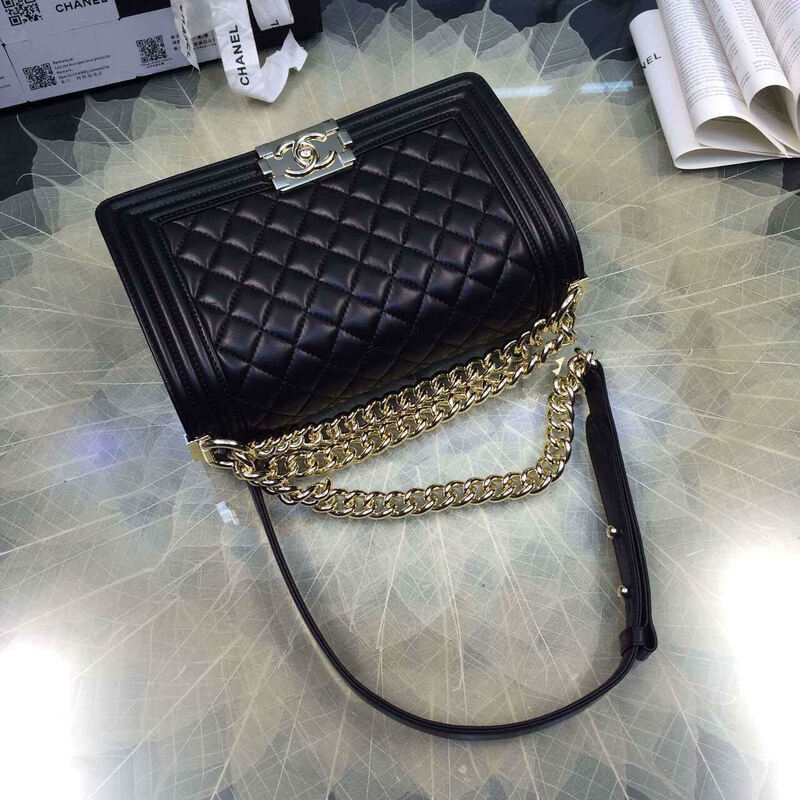 The materials should be excellent and the construction, flawless. 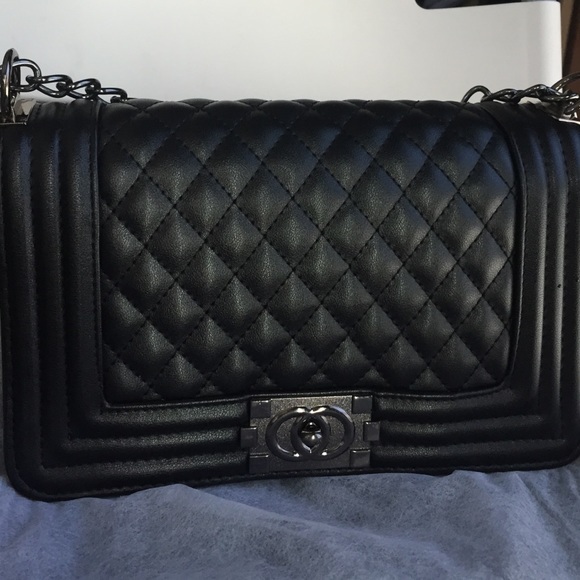 The bag should have perfect quilting, even stitches, and affixed hardware. 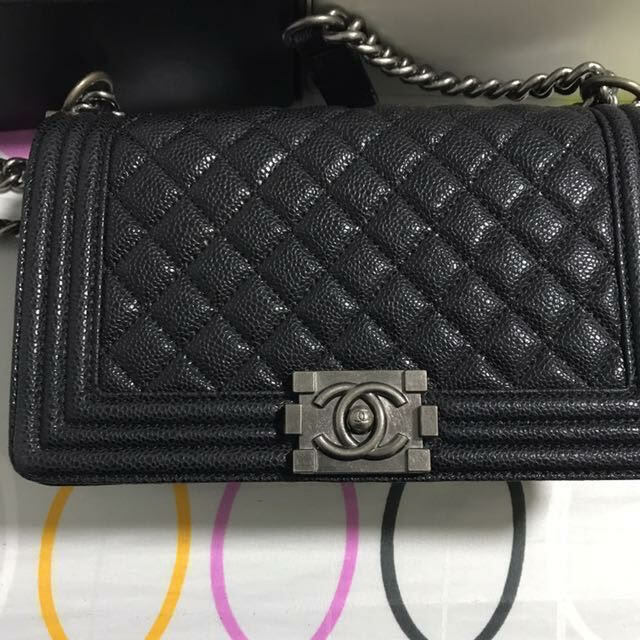 Fonts in Chanel stamps is always clean and sharp. 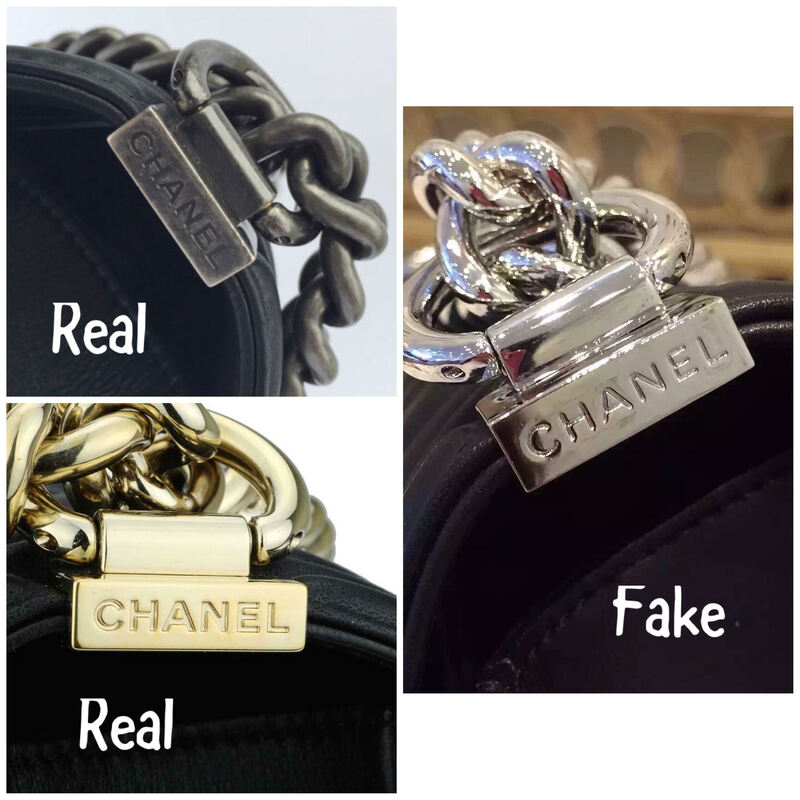 Be aware of crooked or messy logos with blurred fonts and uneven spacing. 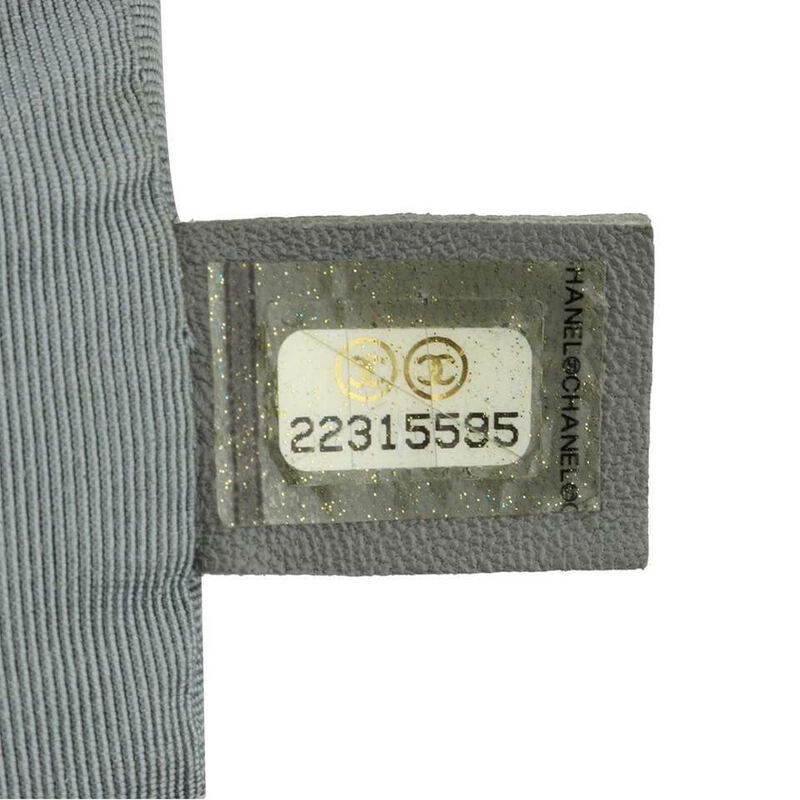 To the left of the interior label, you may find the unique serial number that will help you to determine authenticity. 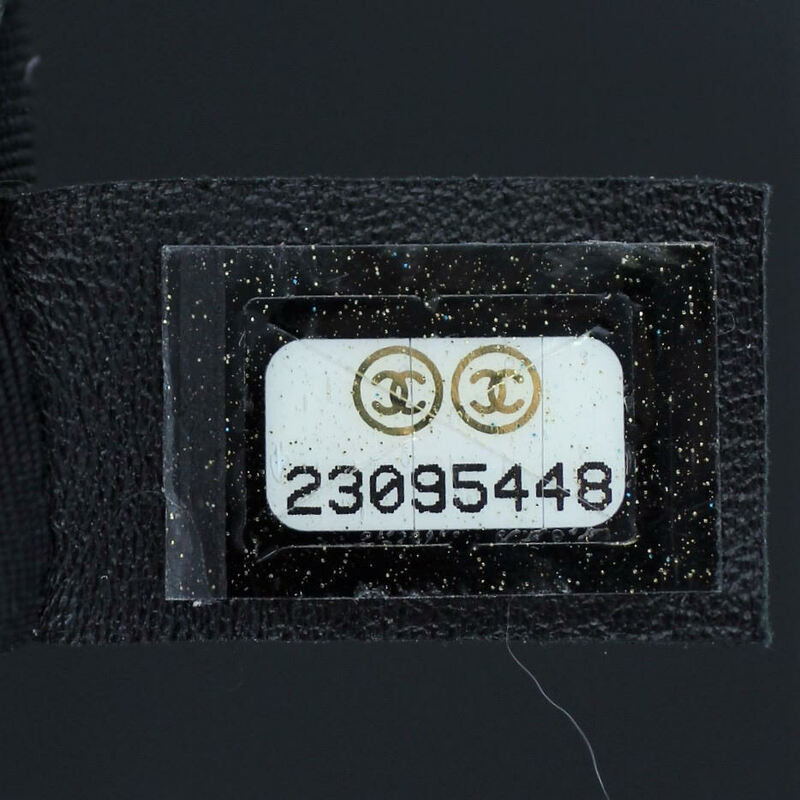 The first two digits of the serial number corresponding to the bag’s production year. 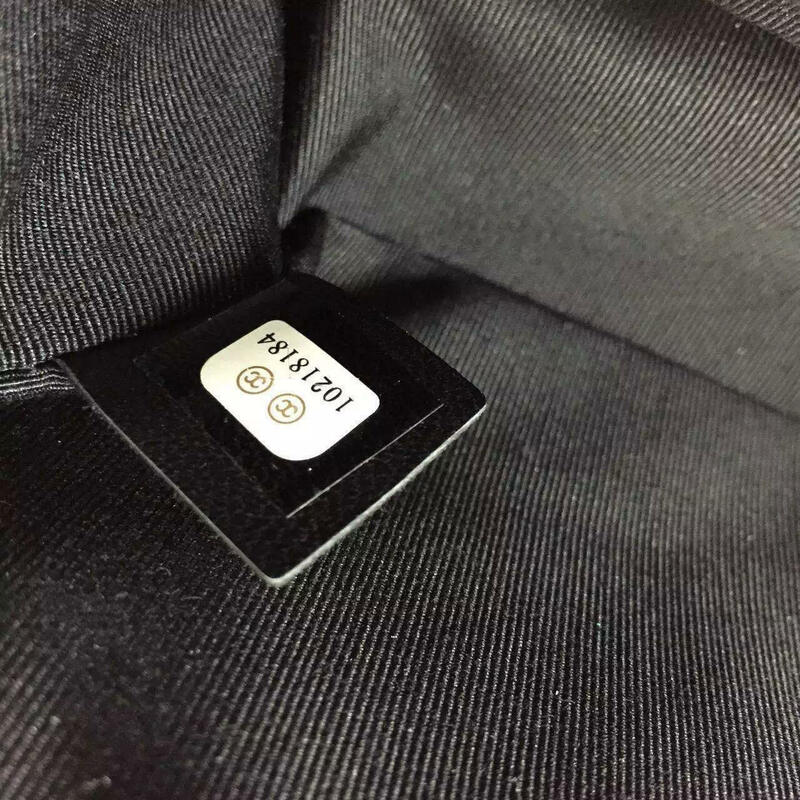 Date codes starting with a single-digit number are seven digits long while date codes starting at 10 and up are eight digits long. 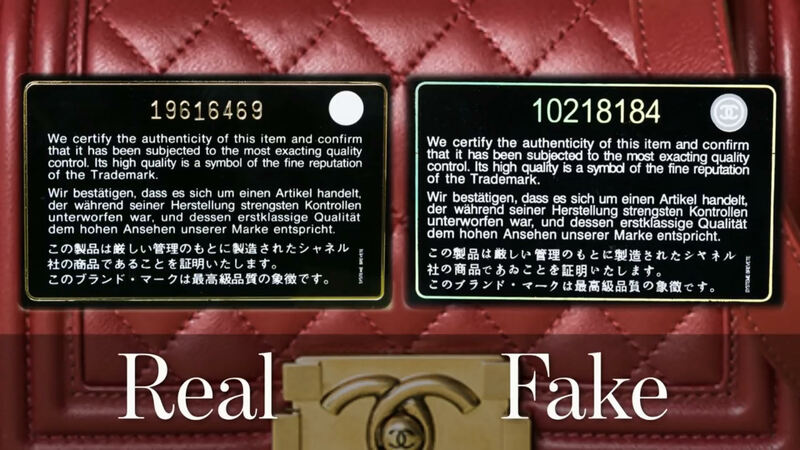 A nine-digit serial number is a clear indication of a fake. 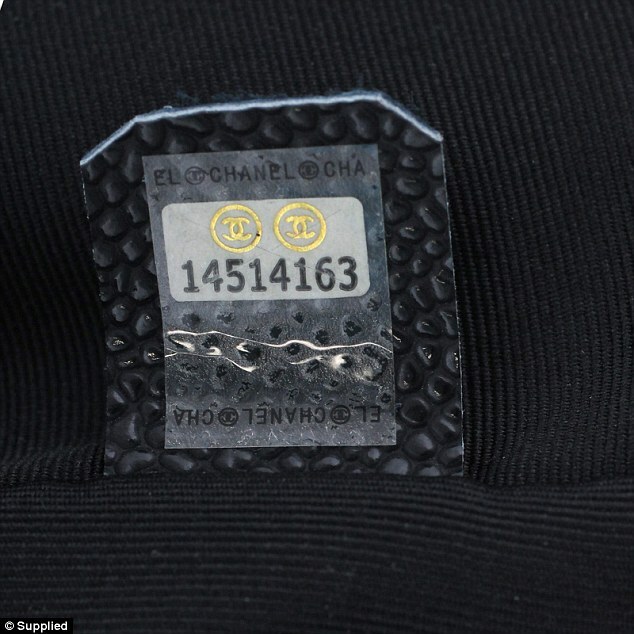 The serial number should match with the authentication card number. 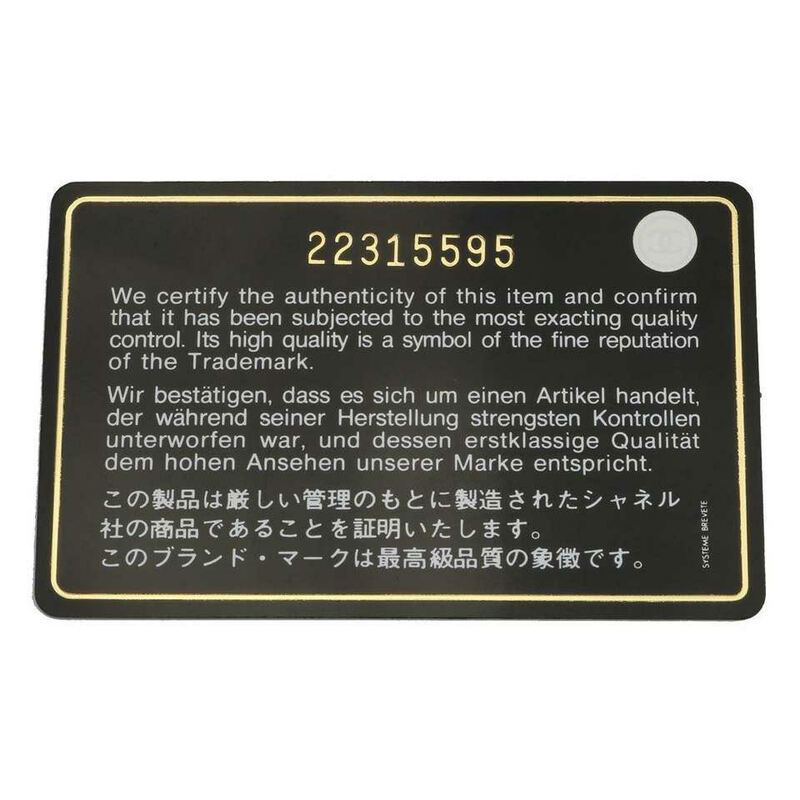 Authenticity cards have a gold border. 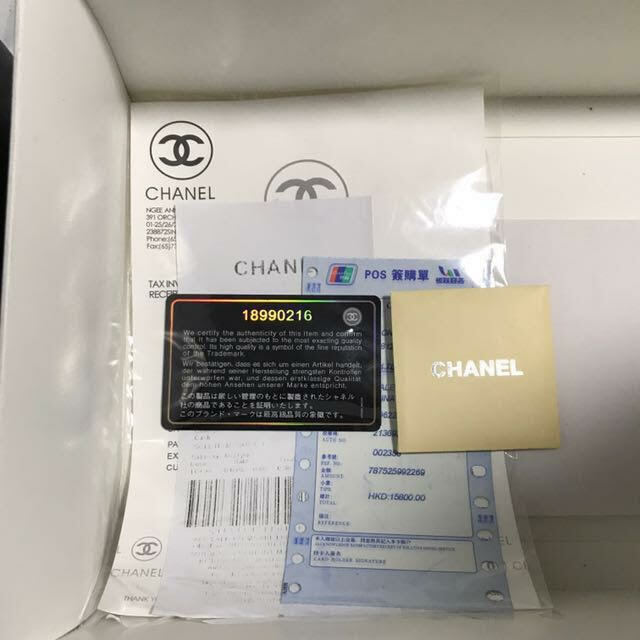 The border of a fake card can be unevenly placed on the card and have a holographic/rainbow reflection. 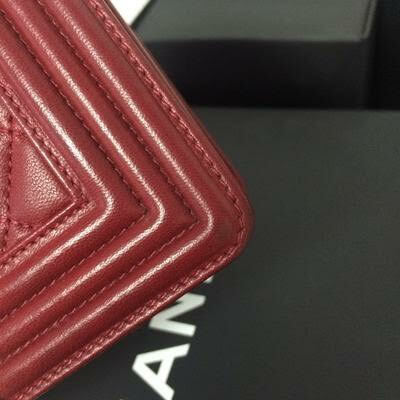 Some authenticity cards will have a white circle in the top right-hand corner. 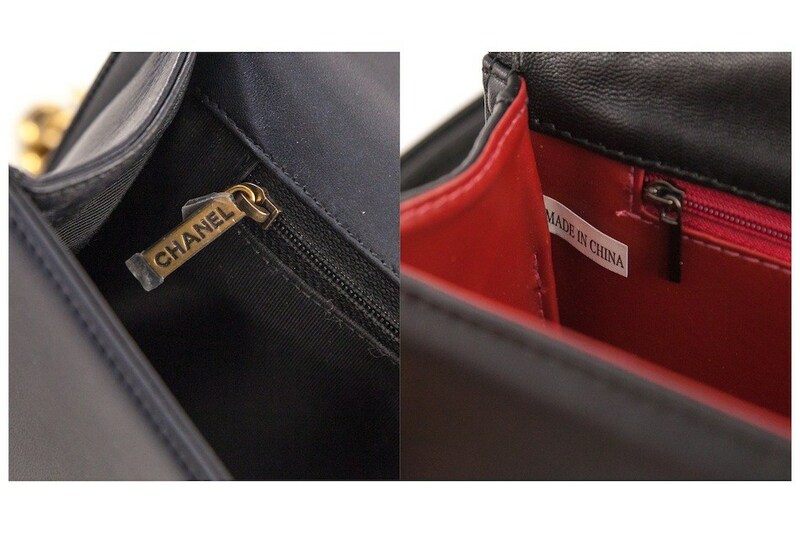 This indicates that the bag was made after 2005. 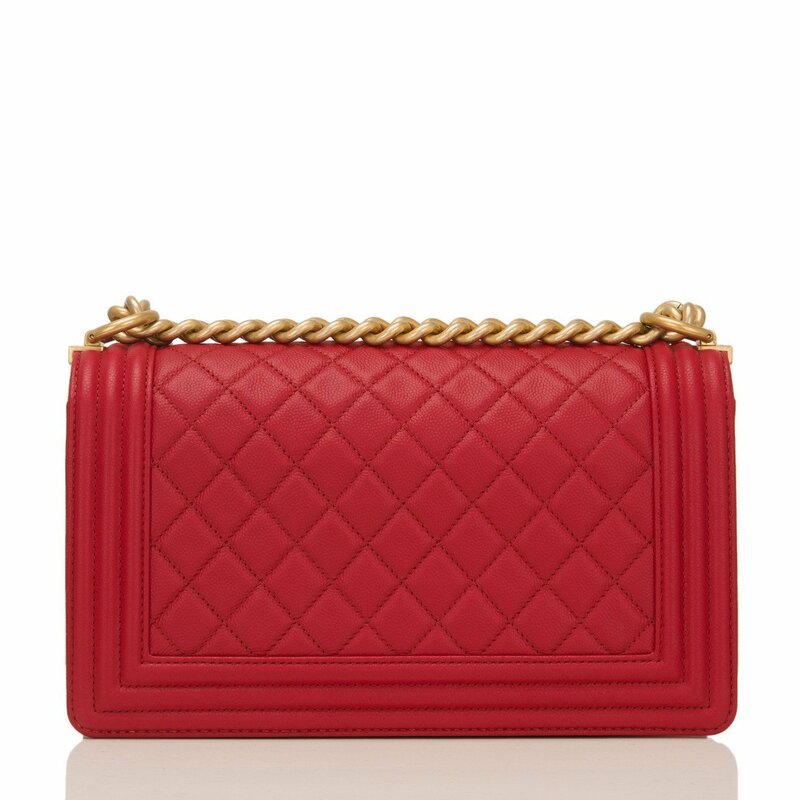 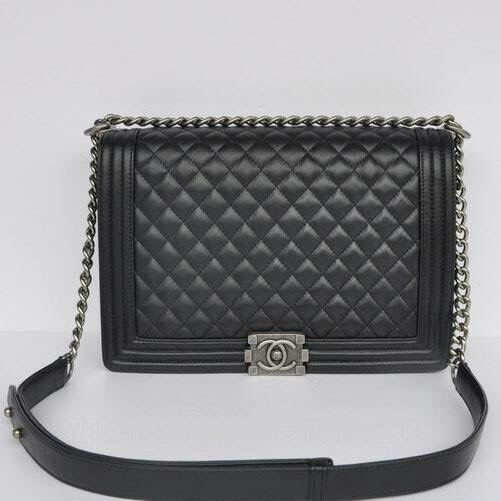 Chanel uses a very high stitch count in their classic diamond quilt which allows the bags to last for years. 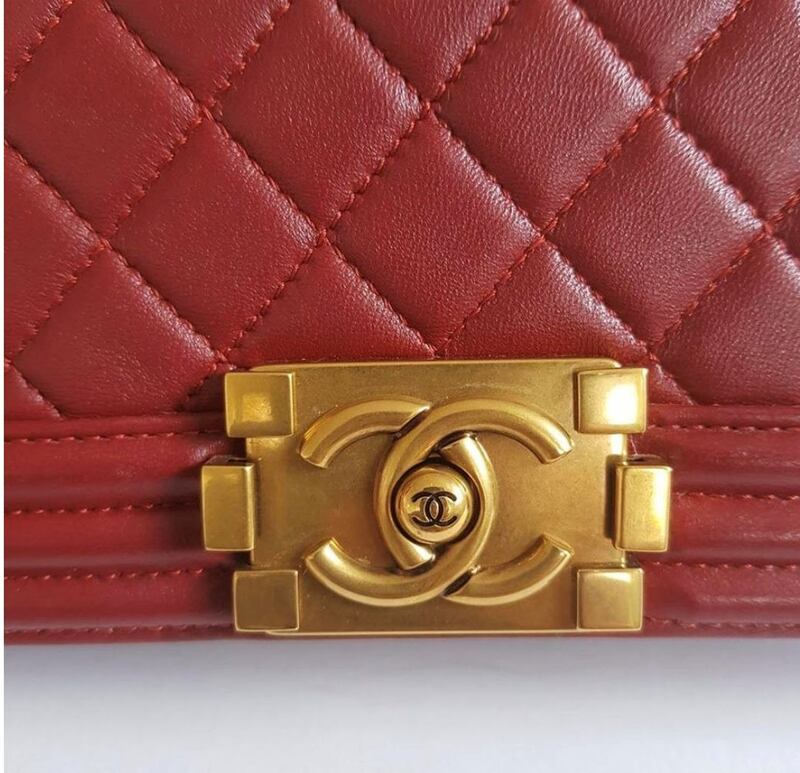 A low stitch count on a fake will make the quilting look puffy and uneven. 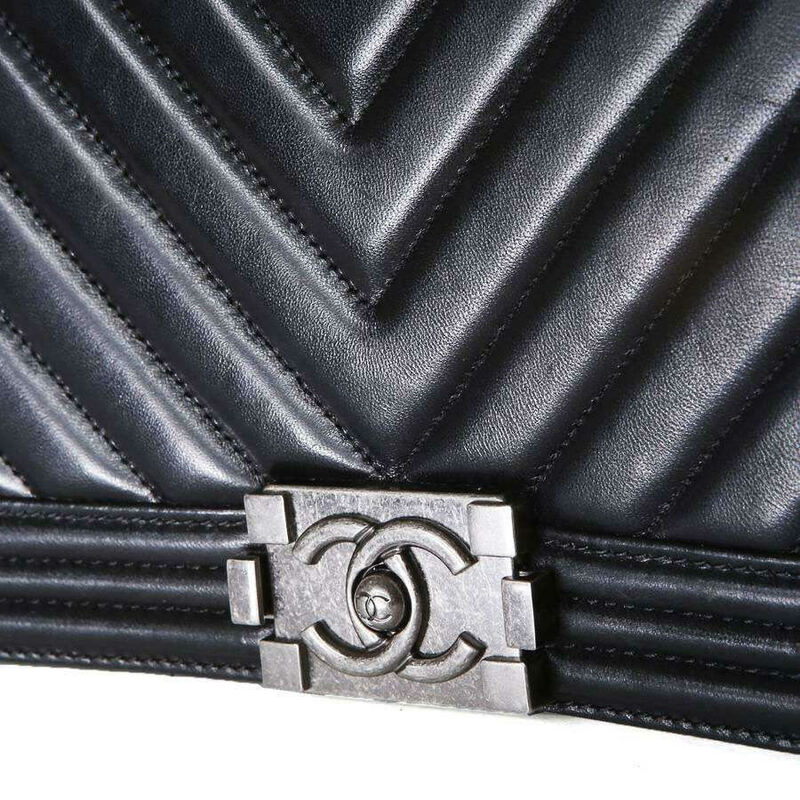 Also be aware of sloppy or frayed stitching.